Established in 2016, the Northern Beaches SUNS are rising fast in Townsville AFL. 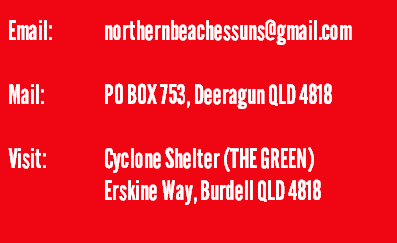 Our home ground is based at the North Shore Cyclone Shelter, Burdell. In our inaugural year, we had 2 teams make the Grand Finals with the Under 15’s going on to take the maiden premiership for the club. In 2017, all grades fielded by the club made the finals series with 2 teams again making it to the Grand Finals. We are a family-orientated club with over 250 registered players and welcome you to join our club as a player, member or volunteer. The club was formed by the merger of 2 existing clubs in the AFLT comp – Seniors (Townsville City Lions) & Juniors (Northern Beaches Barras). The Townsville City Lions Formally known as the Northern Beaches Lions have a long and proud history in the Townsville league. 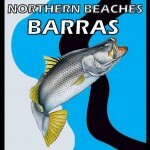 Northern Beaches Barras has a short but successful History with a number of their founding members still volunteering in the club each and every week.